Omega celebrates its heritage in crafting superlative water resistant watches with this piece from the Seamaster collection. The case is made from 18ct rose gold and scratch-resistant sapphire crystal, with the rotating bezel allowing you to easily track one minute. 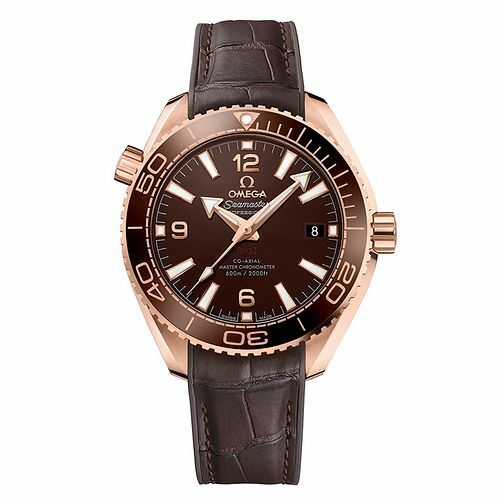 The rose gold tone is matched off with a textured brown leather strap with a rubber lining, and featuring up to 600m of water resistance, considerably more than most watches. The watch is also certified as a Master Chronometer, allowing the highest levels of precision underneath more adverse conditions.